Looking to switch things up a little with your Paleo baking? Why not add a little spice! Here’s a recipe you’d never expect but might just end up loving: flourless Paleo brownies prepared with shredded zucchini among other things. The zucchini might make you a little nervous, but rest assured: these are not “treats” that taste like vegetables! 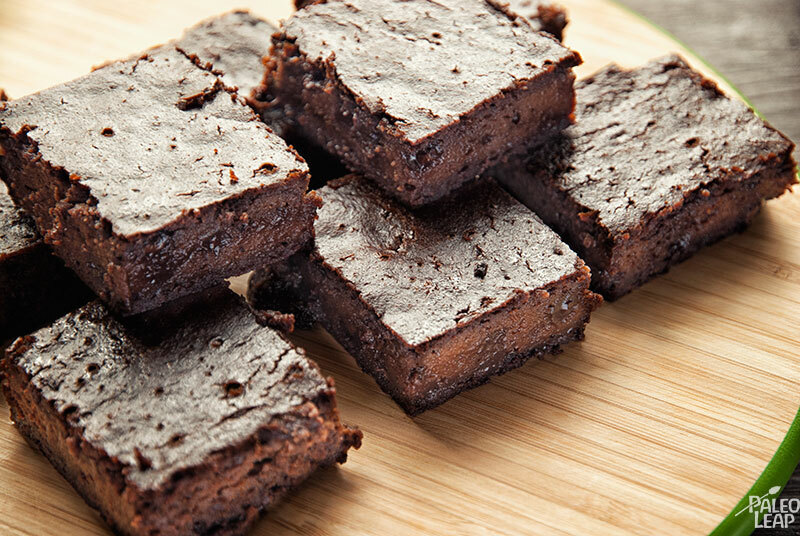 The zucchini is there for the rich, soft texture: on the flavor front, these brownies are a Paleo chocoholic’s delight and the perfect grain-free treat to beat the toughest cravings around. They also don’t call for any nut flour of any kind, so they’re perfect for people who have trouble with a lot of almond-flour desserts. Of course, not having nut flour still doesn’t make a brownie something to eat every day: these are treats, not dinner. But a life without chocolate is not a life most of us want to live, so next time you’ve got something to celebrate, why not give some Paleo brownies a try? SERVES: 8 PREP: 15 min. COOK: 45 min. 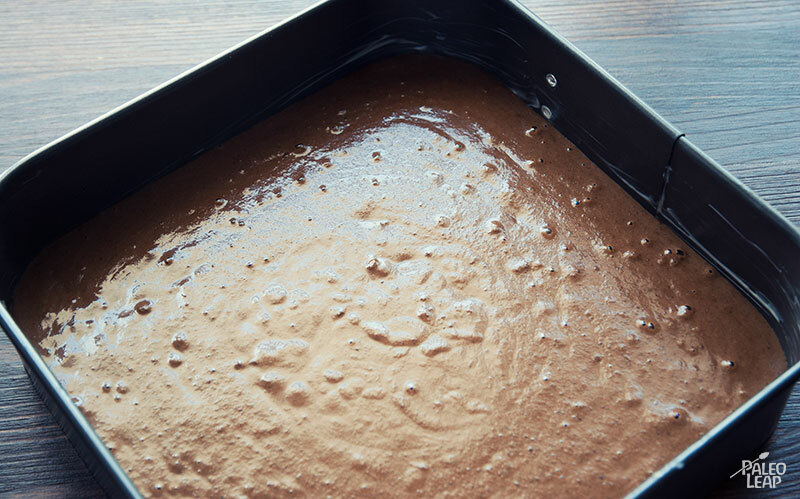 Pour the brownie mixture into a greased or parchment paper lined pan.